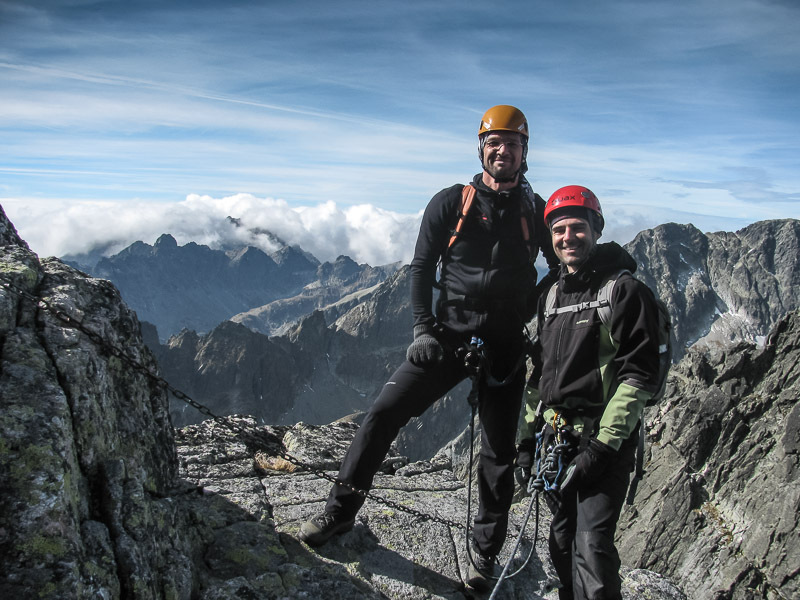 Drahos and Rado climbed last year with me ​​to the highest peak of Slovakia - Gerlach. 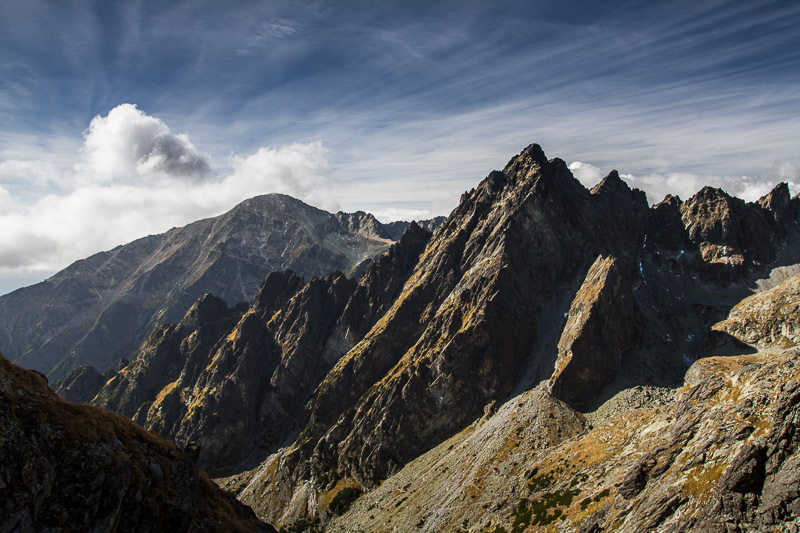 We knew that it was not be our last climb in High Tatras. 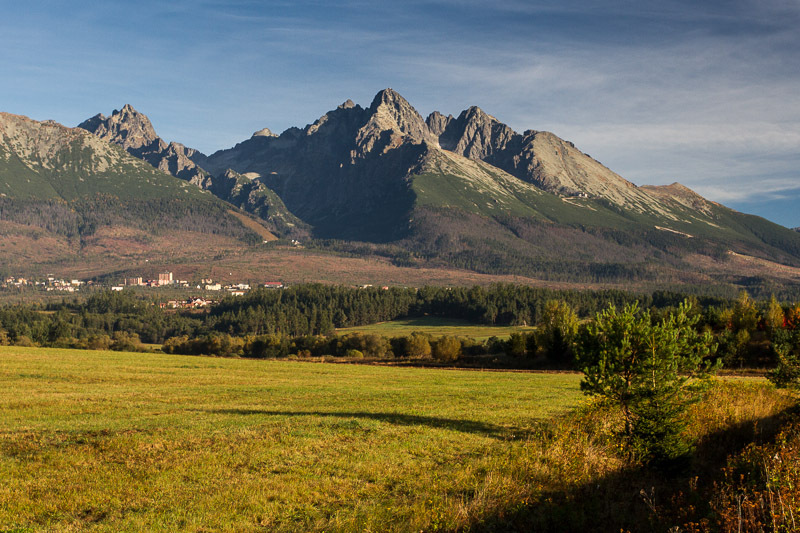 We met together this year for a nice hike in the High Tatras again. 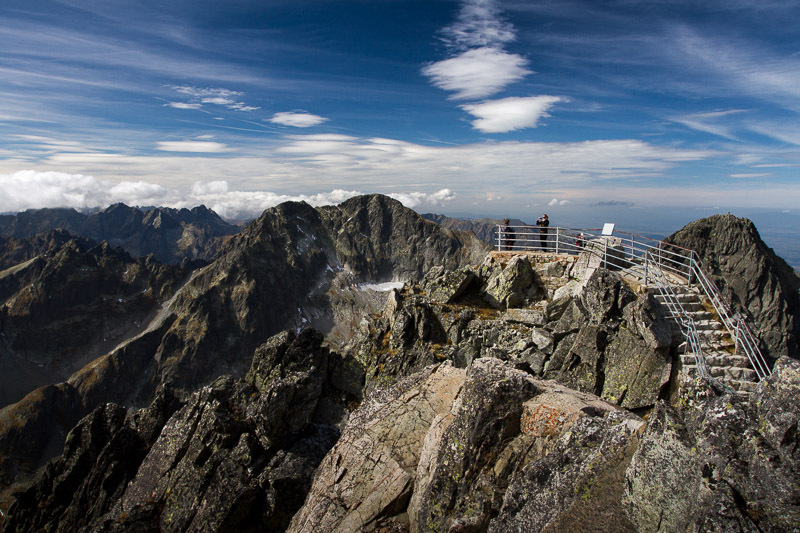 We met together this year for a nice hike in the High Tatras again.This time the guys chose the second highest peak of the Carpathian - Lomnicky peak. 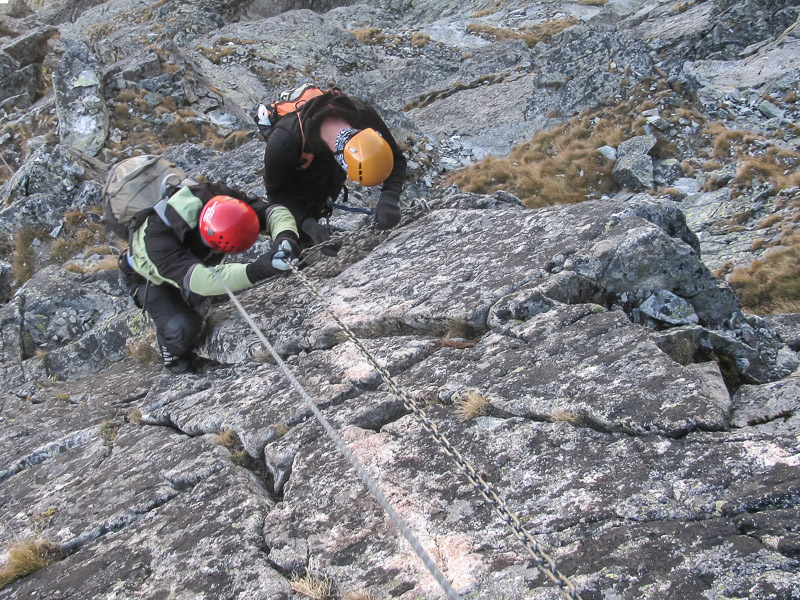 There is lot of posibilities how to climb the summit. The guys chose very interesting round - "via feratta". 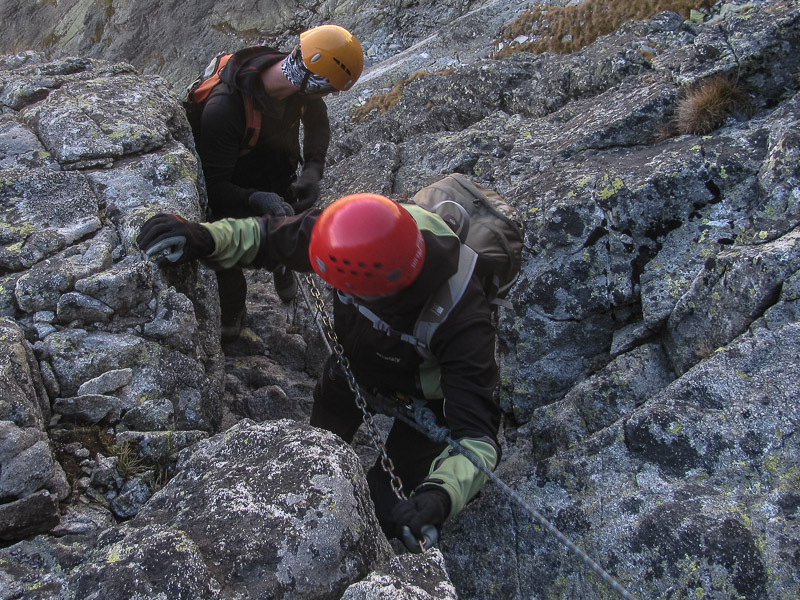 At the begining is very nice and very steep descent to the couloir. 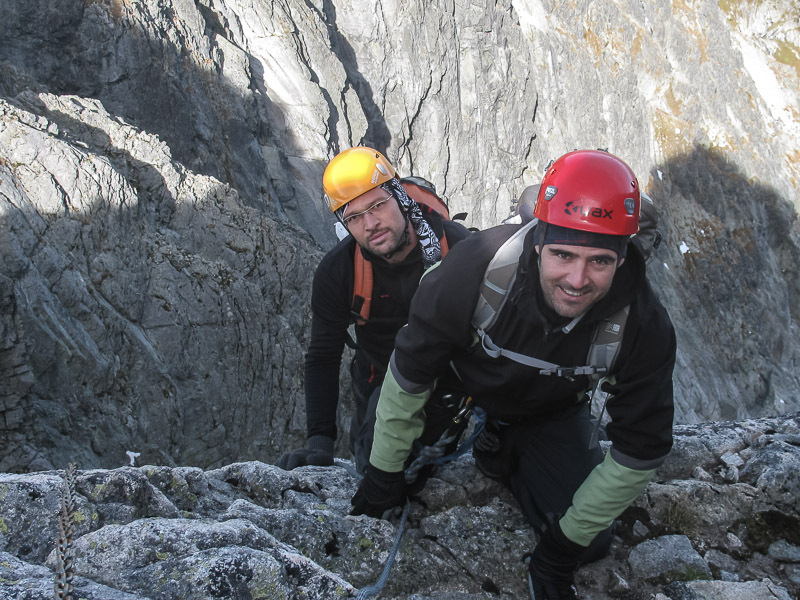 Then climb to the saddle underneath west wall of the Lomnicky peak. Last part of climb is common with "Jordanka" - very nice climb from Tery cottage. 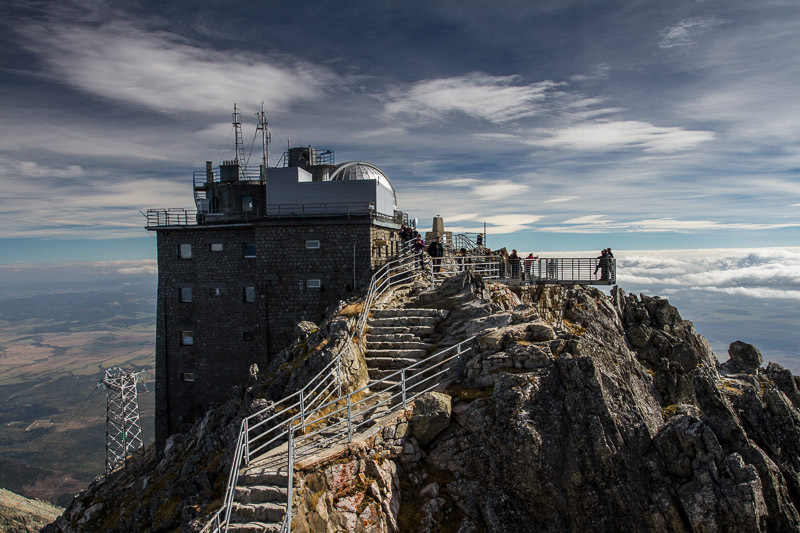 This final part provides a spectacular view from Belianske Tatry (East part of High Tatras) up to Gerlach and Krivan on the west part of High Tatras. Weather forecast with strong wind was not so bad. 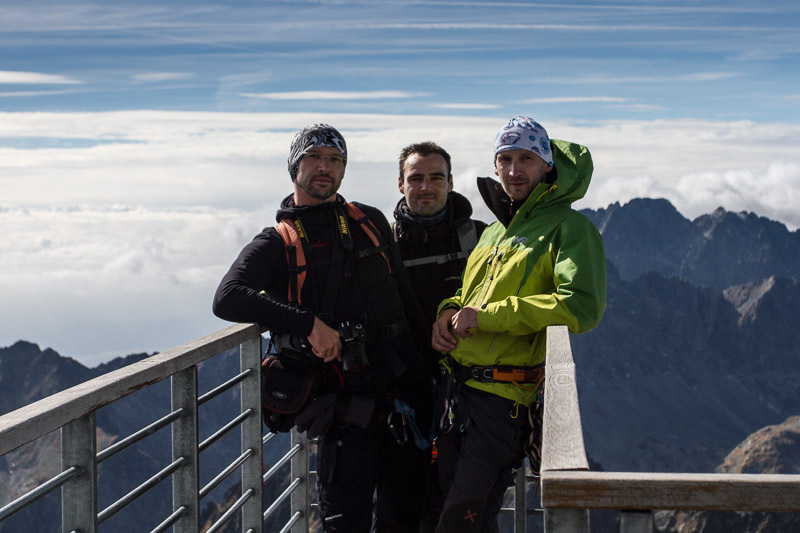 Together with guys we once again experienced the captivating atmosphere of autumn Tatras. Drahos, Rado, I'm looking forward to next time! 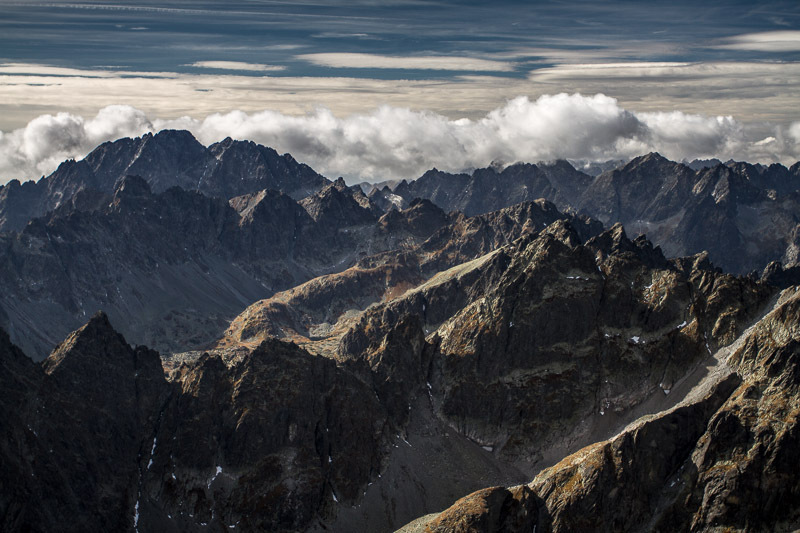 (c) Martin Kyrc, 2012-2018. All rights reserved.